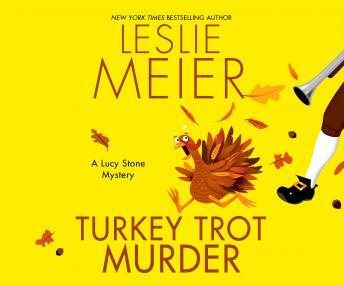 Besides the annual Turkey Trot 5K on Thanksgiving Day, Lucy expects the approaching holiday to be a relatively uneventful one-until she finds beautiful Alison Franklin dead and frozen in Blueberry Pond. No one knows much about Alison, except that she was the daughter of the wealthy investor Ed Franklin and struggled quietly with drug addiction. Police blame her death on an accidental overdose, but Lucy can't understand what terrible forces could have led the privileged woman to her watery ruin. Alison's funeral service is just as puzzling. Many believe Ed's young-and very pregnant-new wife, Mireille, divided the family, leaving Alison to wither on the vine. Did Mireille truly adore her stepchild as Ed claims, or did she pit father against daughter for personal gain? As a state of unrest descends on Tinker's Cove, Lucy is thrown into a full-scale investigation. Now, in a race against time, Lucy must beat the killer to the finish line-or she can forget about stuffing and cranberry sauce.